Alert Bay, B.C. St. Michael’s Indian Residential School. – Stop! Stop! : Our historical issue.—1968. Anglican Church Bible and Prayer Book Society. – Anglican Church Bible and Prayer Book Society fonds.—1902-1996. Anglican Church of Canada. Accra Diocesan Association. – Accra Diocesan Association fonds.—1972-1975. 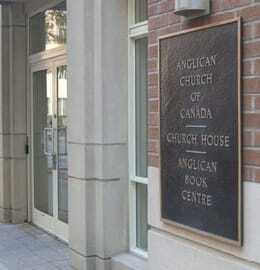 Anglican Church of Canada. Bishops. – House of Bishops of the Church of England in Canada.—1910. Anglican Church of Canada. Diocese of Montreal – Anglican Study Group in Church Unity fonds.—1919-1922. Anglican Church of Canada. Diocese of Moosonee. – Diocese of Moosonee collection.—1883-1945. Anglican Church of Canada. Diocese of Quebec – Quebec cemeteries collection.—Transcribed 1946-1949. Anglican Church of Canada. Diocese of Saskatchewan. – Diocese of Saskatchewan fonds.—1882, 1902, 1920-1921, 1928. Anglican Church of Canada. French language translations. – French language translations collection.—1967-1982. Anglican Church of Canada. Orders of Service collection. – Orders of Service collection.—1921, 1945, 1951, 1954-1956, 1959, 1960-2014. Anglican Church of Canada. Provincial and Diocesan Synods – The Provincial and Diocesan Synods of the Anglican Church of Canada collection.—1845-2015. Anglican Church of Canada. Scrapbook of obituaries and biographical sketches. – Biographical scrapbook collection.—1926-1970. 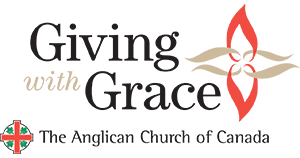 Anglican Women’s Training College – Anglican Women’s Training College (AWTC) fonds. – -1890-1990. Archdeacon’s Association. – Archdeacon’s Association fonds.—1911, 1924, 1927-1937, 1960. Association of Canterbury Clubs. – Canterbury Club fonds.—1951-1958. Bishop’s Messengers of St. Faith’s. – Bishop’s Messengers of St. Faith’s fonds.—1958, 1968, 1973, 1977, 1978. British Columbia and Yukon Church Aid Society. – British Columbia and Yukon Church Aid Society fonds.—1907, 1916, 1922. Brotherhood of Anglican Churchmen. – Brotherhood of Anglican Churchmen fonds.—1952-1979. Canadian Church Missionary Society. – Canadian Church Missionary Society fonds.—1893-1904. Canadian Church Union. – Canadian Church Union fonds.—1886-1892. Canadian Council of Churches. Committee on Chaplain Service in the Forces. – Committee on Chaplain Services in the Forces fonds.—1962-1980. Canadian Malvern. Planning Committee. – Canadian Malvern Conference fonds.—1943. Canadian Mothers’ Union. – Canadian Mothers’ Union fonds.—1900-2016. Canadian School of Missions. – Canadian School of Missions fonds.—, 1938. Church Army in Canada. – The Church Army in Canada : Christianity Applied.—[1931?]. Church of England in Canada. – Certificates collection.—1817-1836. Clergy Reserves, 1791-1854. – Clergy Reserves fonds, 1791-1854. Colonial and Continental Church Society. – Colonial and Continental Church Society fonds.—1827-1916. Columbia Coast Mission. – Columbia Coast Mission fonds.—1936-1966, 1975, 1980. Community of the Sisters of the Church. 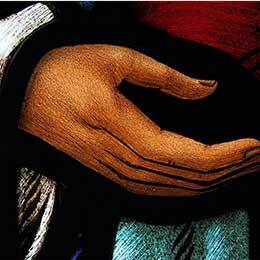 – Community of the Sisters of the Church fonds.—1914-1975, 1977-2015. Conference of Anglican Religious Orders in the Americas (CAROA). — Conference of Anglican Religious Orders in the Americas (CAROA) collection. — 1965-2014. Conference of the Bishops of Quebec, Toronto, Newfoundland, Fredericton and Montreal (1851 Sept. 24-Oct. 1). – Conference of Bishops minutes.—1851. Conference on Canadian Missionaries & East Asia. – Conference on Canadian Missionaries & East Asia fonds.—1983. Council for the Faith. – Council for the Faith fonds.—1967-1981. Cumberland-Devon Mission. – Cumberland-Devon Mission fonds.—1842-1878. Diocese of Honan (China). – Diocese of Honan fonds.—1911-1943. Evangelical Churchman Publishing Company. – Evangelical Churchman Publishing Company fonds.—1881, 1887, 1894, 1896. Federal War Service Commission of the Churches in Canada. – Federal War Service Commission of the Churches in Canada fonds.—1918-1920. Fellowship of Deaconesses. – Fellowship of Deaconesses fonds.—1958-1972. Fellowship of the Maple Leaf. – Fellowship of the Maple Leaf fonds.—1917-1969. Fellowship of the West. – Fellowship of the West fonds.—1929-1959, 1968, 1972-1973. Fort Dunvegan (N.W.T.). – Daily journal of Fort Dunvegan.—1847-1849. Great Britain. Colonial Department. – Great Britain. Colonial Department fonds.—1827. Koinonia Youth Fellowship. 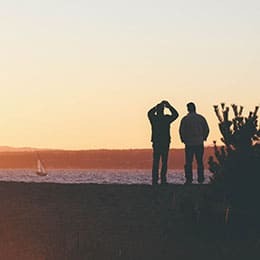 – Koinonia Youth Fellowship fonds.—approx. 1957. Missions to Seamen. – Missions to Seamen fonds.—1942-1978. Missions to the Jews. – Missions to the Jews collection.—1882-1912. Nathanael Institute. – Nathanael Institute fonds.—1950, 1956-1961. Nippon Sei Ko Kai (Japan). – Nippon Sei Ko Kai fonds.—1931-1987. Pan-Anglican Congress (1908 : London, England). – Pan-Anglican Congress fonds.—1908. Sisterhood of Saint John the Divine. – Sisterhood of Saint John the Divine fonds.—1885-1960, 2005, 2006. Society for the Propagation of the Gospel in Foreign Parts. – Society for the Propagation of the Gospel in Foreign Parts (SPG) fonds.—1702-1962. Society of Catholic Commonwealth – Society of Catholic Commonwealth fonds.—1880-1983. Society of St. John the Evangelist – Society of St. John the Evangelist fonds.—1919-1984. Society of St. Margaret. – Society of St. Margaret fonds.—1952, 1958, 1960. Sorrento Centre. – Sorrento Centre fonds.—1983. Spadina-Bloor-Bathurst Interchurch Council. – Spadina-Bloor-Bathurst Interchurch Council fonds.—1971-1994. Augustine Foundation. – St. Augustine Foundation fonds.—1957-1967. Upper Canada Clergy Society. – Upper Canada Clergy Society fonds.—1839-1840. World Council of Churches. – World Council of Churches fonds.—1951-1967.